It’s Monday and there are two inches of fresh snow on the ground in Madison this morning. But I am back from BGG.con and am happy to provide a special recap version of The Monday Brews for you! My BGG.con experience was awesome, so let’s not delay in the telling of tales and sharing of stories in the Monday Brews. Shiner Bock: This seemed to be the staple both at the bar and available in the coffee shop. So I had a couple of these. Unfortunately the $7 per bottle price tag was a little steep for me so I didn’t have more. This isn’t what I would consider a great beer, but it’s from Texas, so that counts for something, I think. Sierra Nevada IPA: This was the on tap beer for the “Cash & Carry” food section offered at the convention hall. My awesome publisher was kind enough to purchase one for me while I was demoing Scoville. I’m not an IPA guy, but it hit the spot. Some Texas IPA: While having an entertaining evening at the hotel bar before heading to a party I was able to enjoy some other Texas IPA. I have no idea what brand it was and neither did the waitress. Oh well. In a typical week I play between 2-7 games. 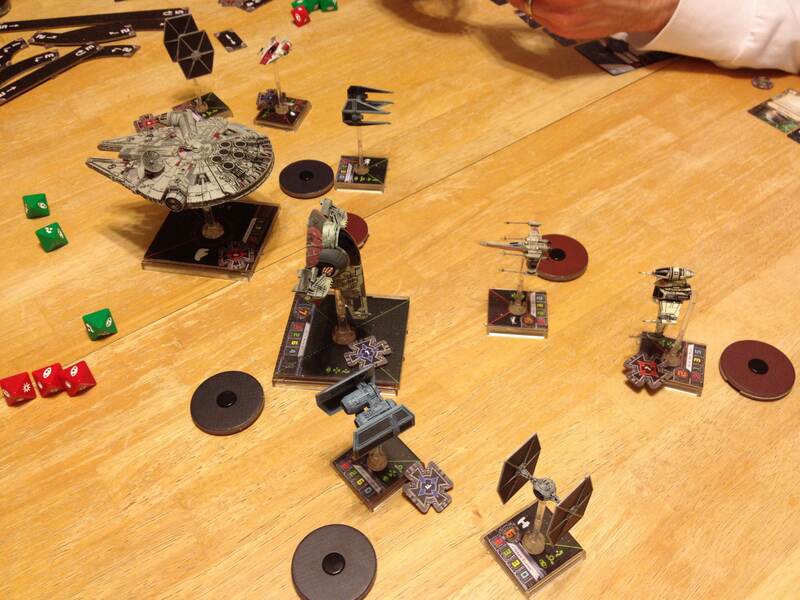 In last week’s BGG.con week I played or taught 36 games! I’ll be recapping each BGG.con day with the games I played. On my flights I got in my first two games of the week. Those were Ascension and Le Havre. I can’t sleep on planes so having these games helped pass the time. I arrived in Dallas around 2:15 and headed straight to the convention. Since I was there to demo Scoville I immediately went to the demo area and set it up. Table D6 in Demo Land would be my home base for the next four days. Despite prototype art people were still interested in playing! Scoville Demo x4: Wednesday afternoon/evening I was able to run four demos of Scoville. I had already visited the exhibit hall and snagged one of the last five copies of Glass Road. I’m glad I didn’t wait to get one. My big mistake while running demos was not documenting who played them. Gil Hova has a great recap article on BGG where he links to all the players who he played with and I wish I could have done the same. At least I learned something. After four demos it seemed people were liking the game. I was pleased with that. Glass Road: After leaving the demo hall I found the Tasty Minstrel guys in the Jonsson room and we sat down to punch and play my copy of Glass Road. Seth had already played so he was able to teach us. I was already a little brain burned from the 4 Scoville demos so I didn’t play a very good game, but I’m glad to have bought a copy since I think it is fun and interesting and short enough to make regular visits to my gaming table. Bang! 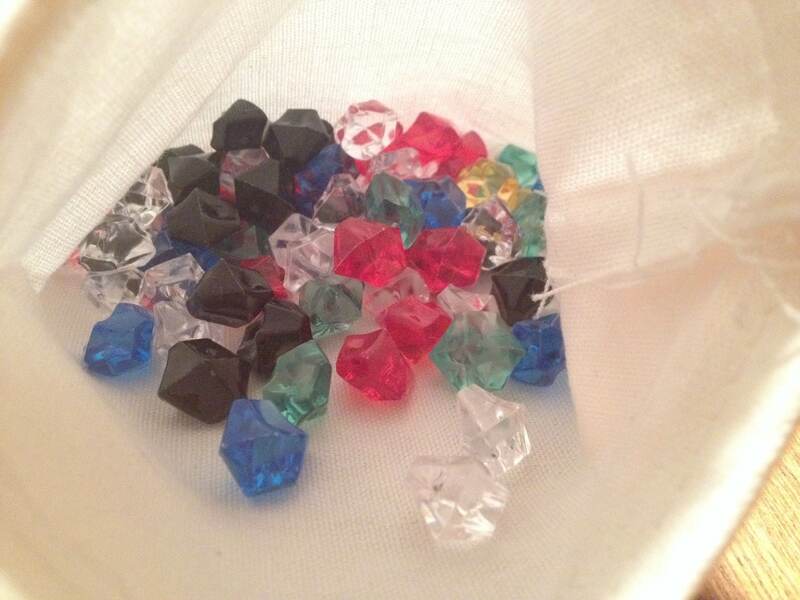 The Dice Game: I like Bang and think it’s a fun game, but with player elimination I think it’s a little too long. Enter the dice version. I played this with Chris Kirkman of Dice Hate Me, Darrell Louder of Compounded and UnPub fame, Michael Mindes of Tasty Minstrel, and Scott King of game photography awesomeness. I’m not typically much of a social gamer and my face usually gives everything away. 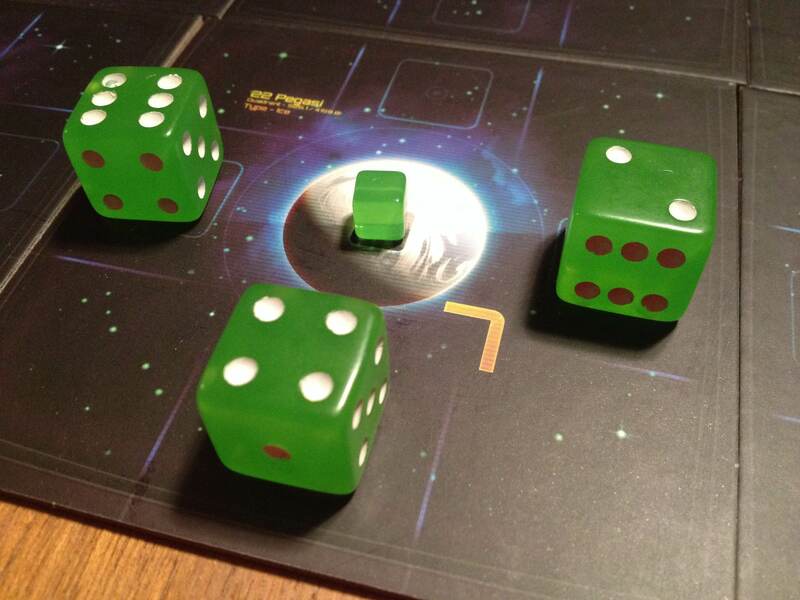 But since this is a dice version I was able to help my team lose quickly instead of dragging things out. I’m tempted to pick this up. One Night Ultimate Werewolf: I had never played Werewolf before. In fact I feel really bad that I always thought people looked really goofy when playing. I blame that on ignorance. The new One Night Ultimate Werewolf not only has really nice looking artwork, but it’s a lot of fun. With the same group as Bang The Dice Game we had one particularly funny moment when the reader, who shall remain nameless, was reading the part about the “Troublemaker” and instead of reading down into the rulebook like for the previous players he lifted his head while reading the troublemaker portion and gave himself away. It was really hilarious when we all lifted our heads and started laughing. I was able to run 4 more Scoville demos before I realized that I was hungry. After snagging some food I joined up with the awesome Benny Sperling and his wife Jax for some non-Scoville gaming. It was a nice break. Trains: I’ve played Trains a few times so far and I think I enjoy it. I like that it has similarities to Dominion, which makes it accessible. But I dislike that it is so similar to Dominion. While having the board gives an extra dimension, there are often turns where you can’t do anything. And that’s not due to having a lot of waste in my hand because I ended with only 4 waste cards. I’m hoping that upcoming expansions pull this game further from Dominion. Mai-Star: This is a game about geisha and guests by the designer of Love Letter. On your turn you can either place an advertiser or a guest. Advertisers let you entertain better guests. Guests let you have special abilities when played. This is a light and interesting game that’s played over three rounds. I’d play it again but it’s not something I would buy. Scoville x3: After Mai-Star I hustled back to the demo table where people were waiting. I not only taught them the game, but also two other groups after them. 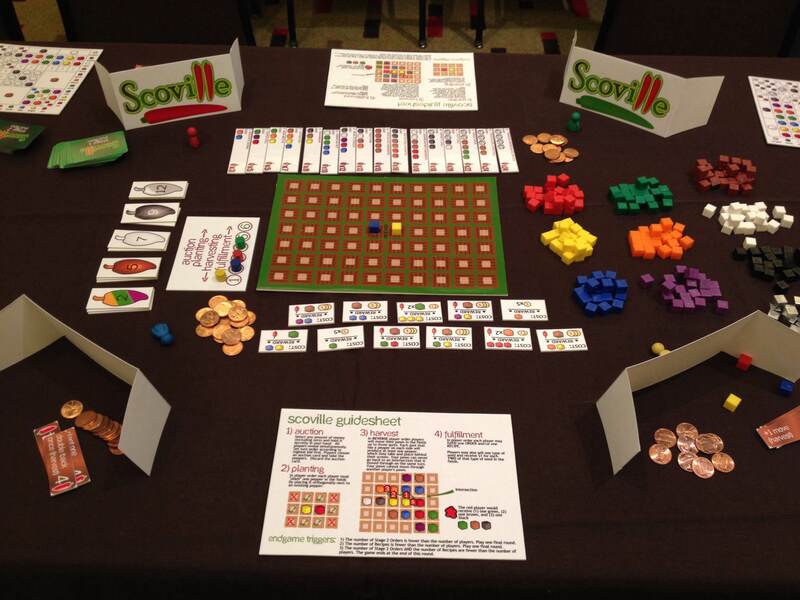 Overall I demoed Scoville 7 times on Thursday. New Bedford: I was fortunate to know someone who had brought a print and play version of New Bedford by Nathaniel Levan and Oak Leaf Games. It is a game about a whaling town, which is a cool theme. Your goal is to send out boats to capture whales. But the coolest part about the game is how the town itself actually gets built. Players have worker placement spots where they can gain resources or money, or build buildings. Buildings can then be used as worker placement locations. Head to the Oak Leaf Games website to learn more. My first impression was that it was a very entertaining game and I am looking forward to playing it again! Embarrassing Moment Nominee: In case you are unaware there is a designer with the name Alan R. Moon who designed a little game called Ticket to Ride. You might have heard of that game. It’s the one in Target with the sticker that reads “Over 2 Million Copies Sold.” Yeah, the guy is sort of a celebrity in the industry. Well, he happened to be standing near my demo table and I had to walk over and introduce myself. That was the cool part. The embarrassing part was that I immediately mentioned how I had an awesome idea for the contest that they ran last year and I started to go on and on about my idea a new Ticket to Ride. Then in my head I froze and realized that the poor guy probably gets bombarded by hundreds of ideas all the time and he probably doesn’t want to hear one from some dude that he just met. I basically told myself to shut up, thanked him, and walked away feeling like an idiot. 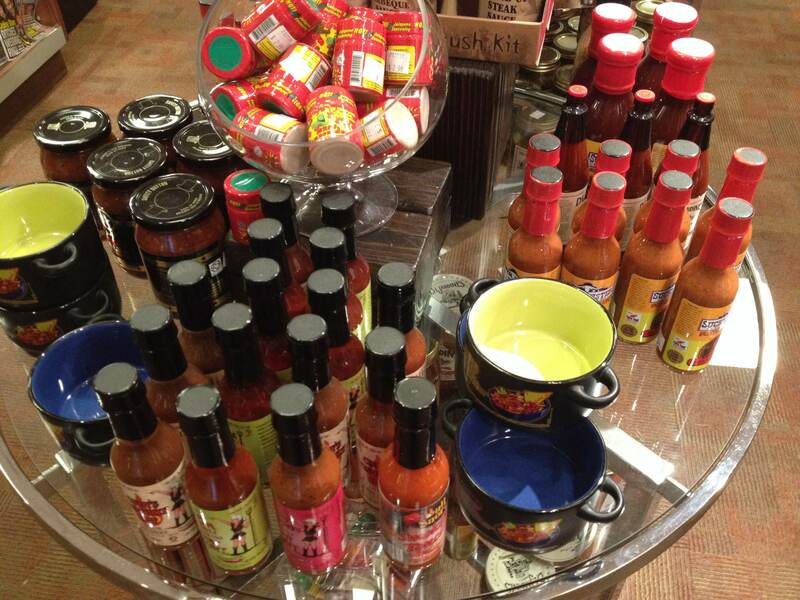 Gift shop items that reassured me I was demoing Scoville in the right state! Friday was a down day for Scoville with only 5 demos, but when I wasn’t demoing I was connecting with people in the UnPub Proto Alley or schmoozin with publishers. Scoville x5: Friday’s Scoville demos were the first to have a repeat player. I thought that was pretty cool. Compounded (With possible expansion): I love Compounded and I had the opportunity to play it with the publisher and a few others in the UnPub area. The designer was demoing it with a possible expansion that I thought made the game more interesting. I won’t mention any details about the expansion because there’s nothing official, but they wouldn’t go wrong by adding it to the game! Double Impact: This was a prototype that I would PNP immediately if I could get my hands on the files. There was just something about the game utilizing worker placement and very interesting decisions that I found fascinating. I was also drooling over the brilliant iconography. The designer was at the table and the other player was annoyed with me fawning over the game. While the game needs a little tweaking, it has a very promising future. Belle of the Ball: I backed this game on Kickstarter nearly on artwork and graphic design alone. I finally got to play it and I am very happy to report that it was also a very good game. The Belle cards add a lot of “take that” type of action to the game, but also allow you to increase the awesomeness of your party. I’m looking forward to this one arriving next year! Round Trip & Enqueteur by David Short: David is a Tasty Minstrel Games alum with Ground Floor and Skyline having already been published. So it was a pleasure to meet him and play some of his prototypes. Round Trip is about getting yourself to your gate at an airport. It utilizes a mancala mechanic, but does so in a more interesting way because of the interaction between other players and the cards you are trying to score. I was pretty impressed with the state of the game considering it’s only a few months old. Then we played Enqueteur, which is a very nice step up from Love Letter. It plays similar to Love Letter but adds some interesting complications to the game. David is doing some awesome designing right now and I wish him the best! Pitch Car: After leaving the gaming hall a few of us decided to play a quick lap of Pitch Car which was set up in the open area. 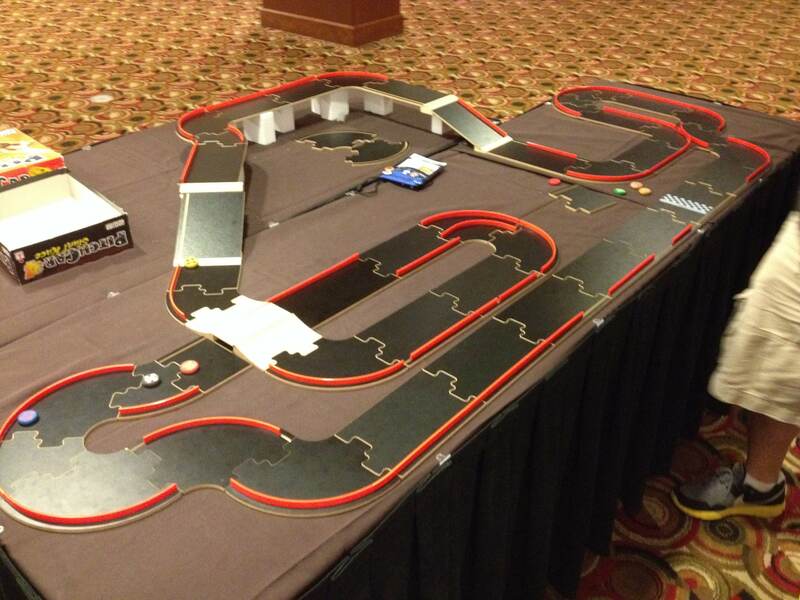 The track setup is shown below. It was pretty epic. What wasn’t epic was how I played. Despite that it was a fun way to cap off the night! We got owned by a first-timer! I started Saturday early since I wanted to get in as many demos of Scoville as I could. But it would turn out that my gaming day would begin with something called Dart Gun Desperados a.k.a. Rubber Banditos. How fast an you draw your rubber band six shooter? Rubber Banditos: This is a crazy cool game by Steve Avery, who co-designed Nothing Personal with Tom Vasel, who you may have heard of. The idea of the game is you are trying to gain money with your people. But you’d better beware or you’ll get shot by an opponent. And the shooting was done with real rubber band shooters. You would actually shoot rubber bands at your opponents figures. While I ended with no money, the gameplay itself is what made the game for me. The best part is the gun fight where you duel with an opponent. Steve was awesome to meet and talk with and I look forward to enjoying a brew or two with him in the future! Scoville x5: One of the highlights of the convention was that I got to play Scoville with both Seth and Michael from Tasty Minstrel. It was interesting to see the strategy of how they played. And it was also very nice after the closing ceremonies when TMG gave me the okay to wrap up the demos. With 22 demos under my belt I increased my number of plays significantly. And I can honestly say that I did not get sick of the game. Thank you to all who played the game. I am honored and humbled by your kind words. Going, Going, Gone: Appropriately enough the very last game I played was Going, Going, Gone. This is an action auction game where players try to bid on five different auctions at the same time. We were playing an adult version that featured some of the Shiner Bock that I mentioned above and we were taught by the spunky Betsy Ross. It was sheer fun, unless you kept getting beer spilled on your arm. Embarrassing Moment Nominee #2: I have an issue with dragging out stories and Saturday night was one of those moments. I was trying to tell the story of how I met a publisher at GenCon 2 years ago and failed to pick up the check and then how I met another publisher 2 years ago and submitted a crappy game, and how ultimately those are the two publishers I am now closest with. It’s actually a really cool story but should only take about 5 minutes to tell instead of fifteen. Afterword someone with clout in the biz said, “That was the longest story ever!,” but with mildly stronger language. I felt bad about wasting their time. If you ever want to hear the story I’ll be happy to practice a short version before telling you the story. My BGG.con experience wrapped up with the I’m Board With Life crew who were throwing a party in their rooms. We had an exceptional bartender for starters, but I was also able to meet Quinns from Shut Up Sit Down. That was pretty cool, especially since he said Scoville sounded interesting! I also had an inspirational moment about greater stuff in life when chatting with the wife of one of the I’m Board With Life guys. She helped me gain perspective on life in Central America and I am afraid to say that we in the US don’t have the right understanding of Latin American culture. If I took nothing away from BGG.con other than that conversation, then it still would have been worth it. I couldn’t thank her enough for her honesty. BGG.con is a fantastic convention. I love that it is singularly focused on board games. I love the intimate feel where it’s like you’re all part of a family. And I love that there are so many amazing people who attend. I met so many of you and I’d love to list you all but I know I would forget some. 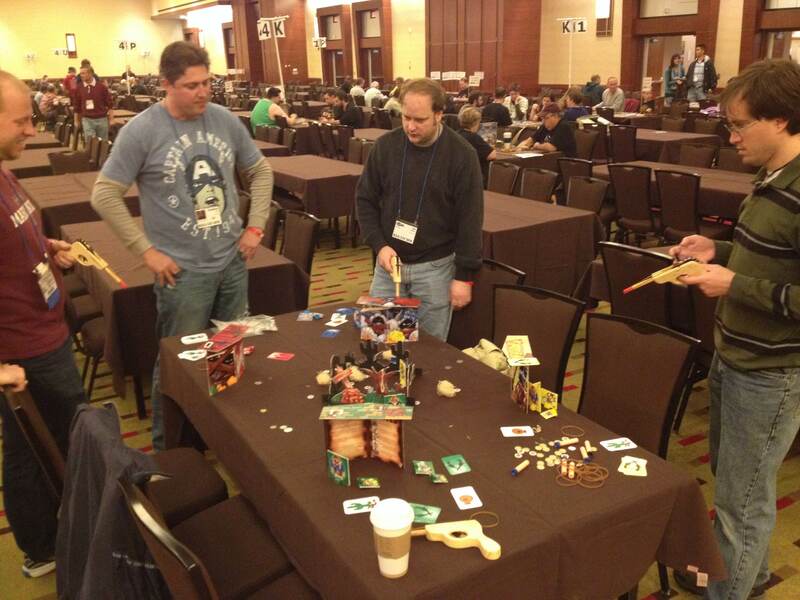 Needless to say, BGG.con is great for networking and socializing with really awesome people. I also enjoyed the exhibit hall since it wasn’t like fighting for survival the way the GenCon exhibit hall can feel at times. It’s so casual and you can just chat with people and make lasting connections. I particularly enjoyed my conversation with the awesome couple behind MeepleSource.com. They had a great booth and they offer awesome stuff to spruce up your games. I specially want to thank Darrell Louder for his time contributions to run the UnPub Proto Alley. While I did not have the chance to participate, I understand what an awesome venue it can be for aspiring game designers. It offered the chance for designers to get and give feedback for prototype game designs. That’s the same way that I first got Scoville to the table in front of other designers. I’m not sure if there is a better way for networking and bettering your designs than things like UnPub. So make sure you thank Darrell when you get a chance. He’s an awesome dude. My only regret of the convention is that I did not get to play most of the Hot Essen Releases. These included Amerigo, Lewis & Clark, Machi Koro, Concordia, Caverna, Nauticus, Russian Railroads, Nations and Madeira. They were sitting so tantalizingly close to my Scoville demo table. Thanks to everyone who took the time to play a prototype of Scoville. I am humbled that so many people were willing to sit at a table and play a prototype when all the Hot Essen Releases were just mere feet away. 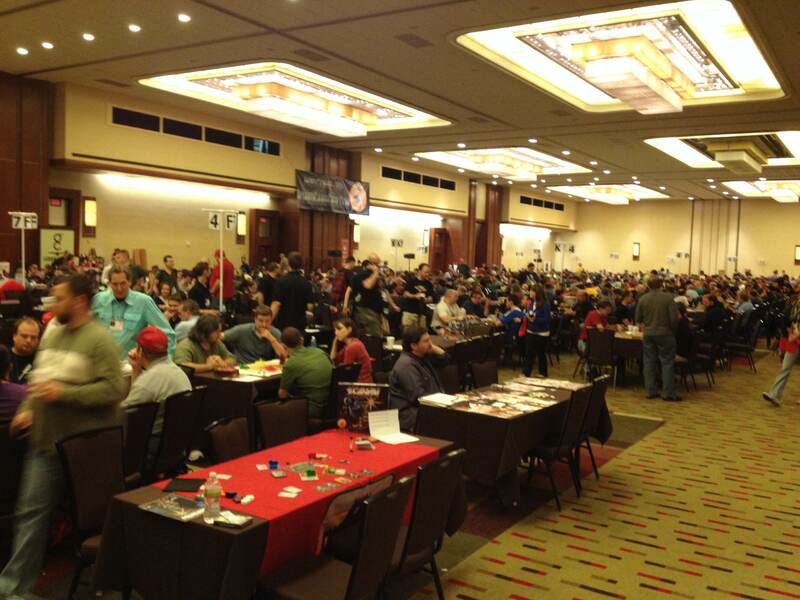 BGG.con was a fantastic experience and I’m very much considering going back next year. It’s a good news – bad news Monday here at Boards and Barley. First, the bad news: the Scoville Kickstarter campaign is being moved to mid-December. We’ll all just have to be patient a little longer. Now the good news: I’ll be at BGG.con demoing Scoville and meeting a lot of you awesome people this week! That’s right. It’s gonna be a slow week on Boards and Barley because I’ll be down in Dallas enjoying some full on boards and barley with fellow designers and gamers and publishers. It’s gonna be awesome! Rasputin rounds out the lineup of stouts. Newton’s Oatmeal Stout: My own oatmeal stout is a decent homebrew. However, it is gonna have some competition soon as I recently bottled my scotch ale, which will be named after Sir Alexander Fleming. Lost Coast Eight Ball Oatmeal Stout: This is a pretty good oatmeal stout, expecially since it doesn’t have that “homebrew” characteristic that my beer possesses. Bell’s Special Double Cream Stout: A straggler from the 6-pack I purchased was thoroughly enjoyed. I find this double cream stout to be very drinkable. Cable Car: This is one of the best games to get a game night started. The strategy is light. The decisions are few. The screwage is immense. It has everything to get people into the gaming mood. And since it plays quickly, Cable Car makes it to the table relatively frequently. Fun game! Last Will: I played this at our board game night as well. And I lost badly. I am usually pretty good at this game, but I made a HUGE error on the very first turn and really botched things. Plus, the Old Friend wasn’t available for me as the first player in the first round. That really hindered my game. But despite my pitiful performance this is a game that I love playing. It is a really awesome design. Compounded: I taught Compounded to four family members over the weekend and the consensus was that they loved it. One of them is a chemist so it was right up her alley. My older brother, who isn’t really a gamer, dominated everyone by getting some compounds completed really early. If you have yet to check out Compounded, maybe it’s time to pick it up! Kingdom Builder: We played Kingdom Builder with the Crossroads expansion. It is a great expansion and I love the new “objectives” to strive for during the game. This is a really enjoyable game for me as it is light enough to keep my wife interested, yet deep enough to make me care on every turn. Dungeon Roll: I played this solo and had a decent game… or so I thought. I fought hard to get those 19 points only to learn that that only makes me a Village Hero. I must be doing something wrong since I barely ever score in the 20s. Oh well. Also, if you haven’t seen it, there is a Winter Heroes promo pack on Kickstarter right now for a super low price. But hurry up since there’s less than 24 hours to go! As I mentioned last week I’ve been in the designer doldrums lately. This time of year is usually so busy for me that I brain rarely gets a spare moment to work on hobby stuff. However, since I’ll be down at BGG.con this week I’m going to bring my notebook and idea box to see if I can come up with anything for my current games or possibly to come up with a few new games. I’ll keep you posted. So those are the Boards and Barley that I enjoyed last week. What did you enjoy? And will I see you at BGG.con?